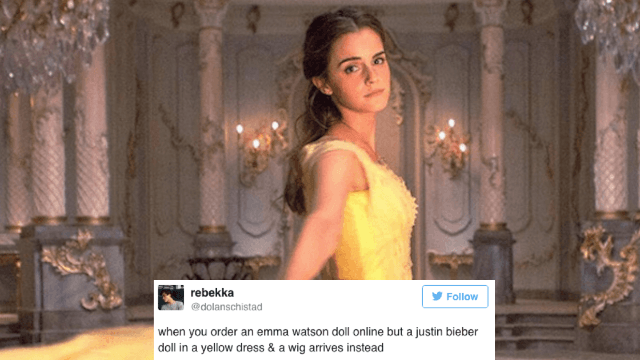 Emma Watson's 'Beauty and the Beast' doll looks terrifyingly like Justin Bieber. Emma Watson is perfect as Belle in Disney's live action Beauty and the Beast (I haven't seen it, but Emma Watson is always perfect). But what's not perfect is this creepy doll that is modeled after the actress as Belle. As you can see, it's pretty. Pretty beastly. Seriously, Disney, WYD??? Disney? Are you there? Please explain yourself. Disney has not offered up any explanation. 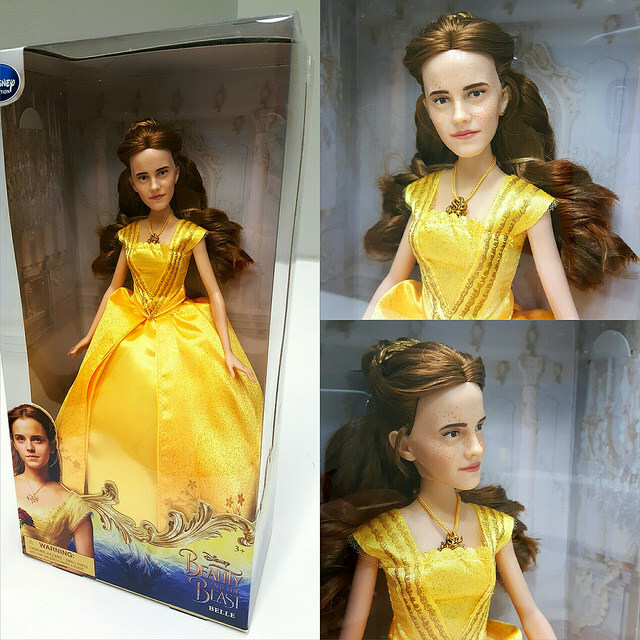 So we'll just have to assume that whoever designed this doll had it out for Emma Watson. Or they just really, really love Justin Bieber. Just what the world needs: more Justin Biebers!!! It's feasible that he was the doll's secret baby-daddy. But despite the fact that this Bieber-doll is going to give me nightmares, I can forgive whoever designed it. Based solely on the fact that it made Zach Braff's day. Thank god. Because if her character looked anything at all like that doll, they'd have to rename the movie Beast and the Even Beastlier.